"Bosch is taking a multi-standard approach when it comes to V2X. We have developed a universal connectivity unit capable of communicating using all of the transmission standards implemented in connected automobiles." Smart connection management software from Veniam always selects the best communication standard. Bosch and Veniam have been selected as CES 2019 Innovation Award Honorees. What is true for people is also true for cars: communication works best with a common language and a good connection. To enable connected and automated driving in the future, vehicles must be able to easily communicate with one another as well as with their surroundings. There is currently no globally standardized technical basis for this exchange of data, which is known as vehicle-to-everything communication, or V2X. Instead, vehicles will in future communicate using the wide variety of different standards implemented by countries and vehicle manufacturers around the world. “Bosch is taking a multi-standard approach when it comes to V2X. 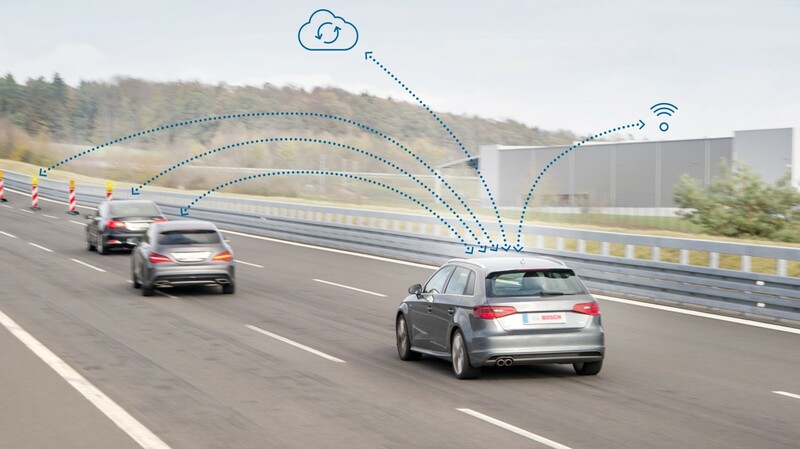 We have developed a universal connectivity unit capable of communicating using all of the transmission standards implemented in connected automobiles,” says Dr. Dirk Hoheisel, Member of the Board of Management at Robert Bosch GmbH. To learn more, please visit www.bosch.com, iot.bosch.com, www.bosch-presse.de, twitter.com/BoschPresse. Veniam is accelerating future mobility by delivering intelligent networking software for connected cars and autonomous vehicles. With an IP portfolio of more than 160 patents, Veniam’s data networking platform makes the most out of all available networks to improve quality of service and reduce the costs of moving massive amounts of data between vehicles and the cloud. Working closely with the world’s largest Auto OEMs and Tier 1 suppliers, Veniam aims to improve the lives of millions of people by securely managing the data flows of a new and emerging mobility ecosystem – the Internet of Moving Things – where vehicles move people and goods efficiently but also expand Internet coverage, deliver new human experiences and gather valuable data for smart city applications.